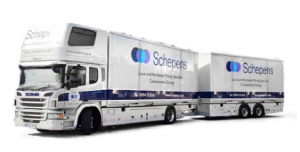 Schepens is proud to be a 4th generation family run company and, with over 100 years experience in the removals business, you can be certain of receiving a first class service at affordable prices. We are a local removal company, and have helped people to move to all towns and areas in Wiltshire including Amesbury, Bradford On Avon, Calne, Chippenham, Corsham, Cricklade, Devizes, Highworth, Malmesbury, Marlborough, Melksham, Mere, Royal Wootton Bassett, Swindon, Tidworth, Tisbury, Trowbridge, Warminster, Westbury and Wilton, plus many more. We can help with complete house and flat moves, part loads, student moves or the movement of large items such as pianos. WHY USE SCHEPENS FOR REMOVALS TO WILTSHIRE? Modern fleet of clean, reliable vehicles, alarmed for added security. We are also able to provide safe, secure and clean self storage and business storage within easy reach of Wiltshire on a short or long term basis. Our removals teams are trained in packing for house removals, ensuring the safe transport of your possessions. We offer a range of packing services from complete packing, packing of fragile items only or simply supplying our extremely strong packing boxes. If you need a removals company in Wiltshire, then Schepens has the experience, expertise and local knowledge to offer you a smooth, trouble-free move. Amesbury, Bradford On Avon, Calne, Chippenham, Corsham, Cricklade, Devizes, Highworth, Malmesbury, Marlborough, Melksham, Mere, Royal Wootton Bassett, Swindon, Tidworth, Tisbury, Trowbridge, Warminster, Westbury and Wilton, plus many more. Wiltshire is a county in the South West of England that is popular with residents and visitors alike. A quintessentially English corner of the country, the area is dotted with pretty picture-postcard villages and bustling market towns. If you are looking to relocate or move home, Schepens can help you with all of your removals to Wiltshire. PLEASE CALL 01722 730010 FOR YOUR FREE NO OBLIGATION QUOTE ON REMOVALS TO WILTSHIRE! With over 100 years experience within the removal industry, Schepens is one of the most trusted removals companies in Wiltshire. We offer tailor made domestic and commercial removals packages, carefully designed to suit the needs of our customers looking to call upon a premier Wiltshire moving company. Whether you are planning on moving your entire household, or just a single item, our uniformed removals personnel will ensure that all of your belongings reach their new destination safely and without any damage. We provide a fleet of modern and reliable transportation vehicles to ensure that all of our deliveries are made on time and exactly as requested. Our staff also have an excellent knowledge of Wiltshire and the surrounding counties, meaning that your precious possessions will never get lost in transit. Our fully comprehensive UK removal service is on hand to help you and your family start the next chapter of your lives. Whether you are moving to Wiltshire from another part of the country, or just moving down the road, our cost-effective, bespoke Wiltshire removals services can cater for your every need. We can provide our own high-quality packing boxes, tape and bubble wrap for you to pack your own belongings, or you can have our team of experts take care of everything for you. However you choose to pack, move or store your belongings – Schepens has got you covered. Here at Schepens we don’t just help our customers with the removal of their belongings, homes and businesses, we also offer flexible and affordable self storage units in Wiltshire. We understand that sometimes you need extra space on a flexible, short term basis. Out storage units provide you with the space you need, for as long as you need, as a price you can afford. WHY MOVE TO WILTSHIRE WITH SCHEPENS? Full of beautiful rural villages and rolling countryside, Wiltshire offers a taste of the good life within easy commuting distance of major towns like Swindon and Salisbury. Home to the Cotswolds and three Areas of Outstanding Natural Beauty, moving to Wiltshire is an opportunity to enjoy the very best the British countryside has to offer. Wiltshire also offers a diverse collection of homes to appeal to house movers from every corner of the UK. Whether you want to buy or rent a thatched cottages, a handsome manor house, a Victorian villa, a post-war semi or a new build apartment, you will find a wide selection to choose from across the county. WHATEVER YOUR NEXT HOUSE MOVE IN WILTSHIRE WILL BE, SCHEPENS ARE ON HAND TO OFFER FIRST CLASS, RELIABLE AND AFFORDABLE REMOVALS AND STORAGE THROUGHOUT WILTSHIRE. THOUGHT ABOUT USING SCHEPENS’ PACKING SERVICE WILTSHIRE? Anyone who’s moved house will know why it consistently comes in third on the UK’s list of ‘5 Most Stressful Activities’. What makes it so hard? Well, our Wiltshire clients tell us that it’s the packing that gets them down. However good your planning; however early you start, there’s a mad rush as moving day gets closer – and it seems there’s never enough boxes! Packing up a house is a major logistical project – which is why all our packers receive professional training. SPEAK TO US TODAY ON 01722 730010 TO BOOK A NO OBLIGATION REMOVALS QUOTATION FROM OUR WILTSHIRE PACKING TEAM. 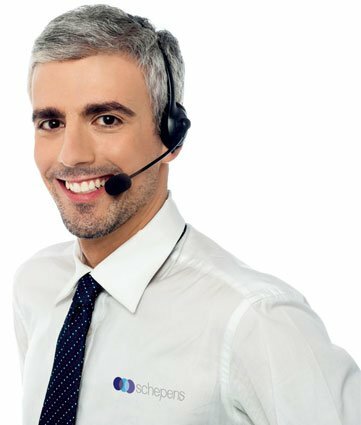 Schepens has been helping people to move for over a hundred years now. Whilst a lot has changed over that time, the problem of packing hasn’t. Our goal is to reduce the stress families experience as part of moving house. That’s why we offer a professional packing service. Clients who have included it in their removals plan tell us they would never attempt to pack by themselves again! All our packers have been trained according to the high standards of the British Association of Removers. They work as a team to pack up your home fast, efficiently and securely. High quality packing materials ensure that every item is professionally packed for safe transit. Every box is clearly labelled for ease of access when you arrive in your new home, and a detailed inventory is created as part of the packing process. Schepens professional packers will have your home packed and ready to load in hours, rather than weeks, or even months. The process is concentrated and focused with a team working room by room, and as each room is completed it can be loaded straight into the removals vehicle. Clients in using our packing services in Wiltshire for the first time tell us that the reduction in time, stress and labour makes Schepens packing services excellent value for money. Step 1 – we get some basic details from you about the number of rooms to pack up, including loft, garage and cellar. If you have any non-standard items such as a piano, or valuable art work, we create a bespoke packing process for them. Step 2 – If you have any items that you wish to place in storage we can arrange door-to-door service. Your goods will be stored in one of Schepens’ local secure storage facilities. Step 3 – prior to moving day we ask that you de-clutter your home to help streamline the process. Lofts and garages tend to gather unwanted items. Clear them out before you move to avoid to taking those unwanted items with you. Step 4 – your removals team arrives with professional packing materials. They will go from room to room packing and wrapping everything in boxes for safe transit. Step 5 – every box is labelled with the room it was packed in and a generic description of the items it contains. Step 6 – Your home is securely loaded onto the removals vehicle. Whatever support you need on moving day, Schepens is committed to providing it for you. Whether it’s dismantling furniture, providing specialist packing for valuable items, or finishing up what you haven’t had time to do – we’re happy to help. WHY NOT CALL US ON 01722 730010 TO FIND OUT WHAT PACKING SERVICES IN WILTSHIRE WE COULD PROVIDE FOR YOUR MOVE?